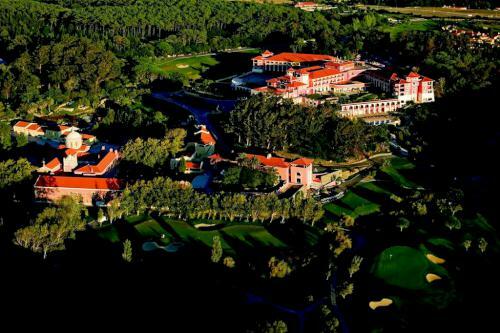 The Penha Longa Hotel and Golf Resort is one of the premier golf and country clubs in the central west region of Portugal. 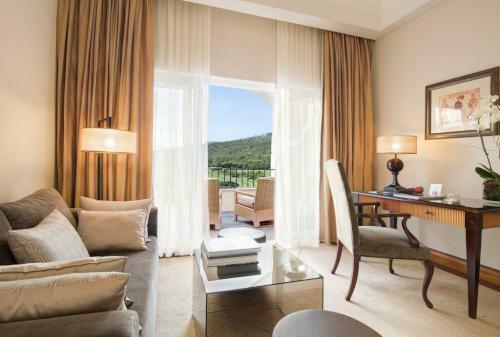 Located a short drive from Lisbon station, the Penha Longa Hotel and Golf Resort can be reached within just 30 to 40 minutes from Portugal’s capital city and makes the ideal base for exploring all that the Sintra/Estoril are has to offer. 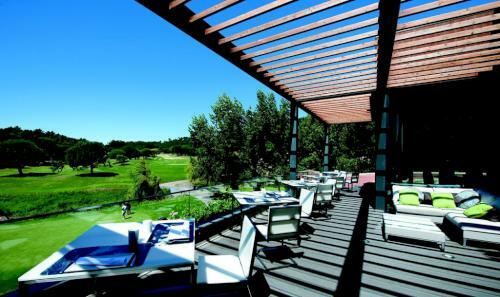 The resort is located in a protected nature reserve between the sophisticated and cosmopolitan resort of Cascais and the romantic hill town of Sintra. 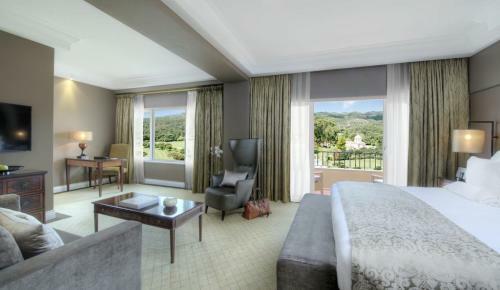 The palace at Penha Longa was a favoured summer retreat for the Portuguese aristocracy and the estate dates back to 1355 when a monastery was first constructed amongst the lush green rolling hills. 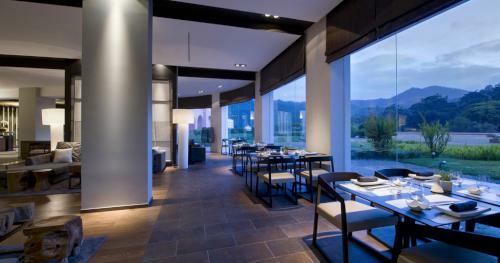 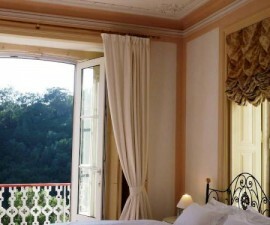 This five star resort offers the perfect combination of modern luxury and traditional Portuguese charm. 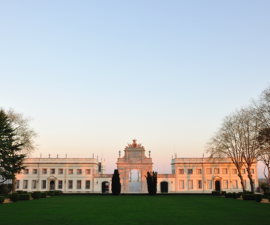 Many original features remain in the beautiful landscaped grounds and ornate buildings, a reminder of Portugal’s rich history as a leading power in European exploration and culture. 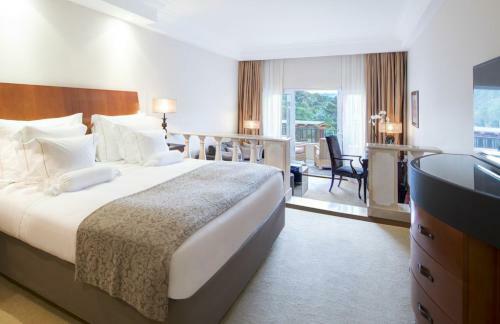 Guests will want for nothing in their well-equipped rooms, all of which are spacious and tastefully decorated, featuring king-size or two double beds. 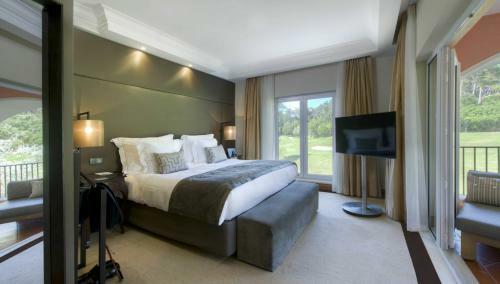 Feather duvets and Egyptian cotton sense ensure a comfortable night’s rest and the high-speed internet access, flat screen plasma televisions, iPod docking stations and Nespresso coffee machines that are present in every room add a welcome touch of luxury that is sure to please. 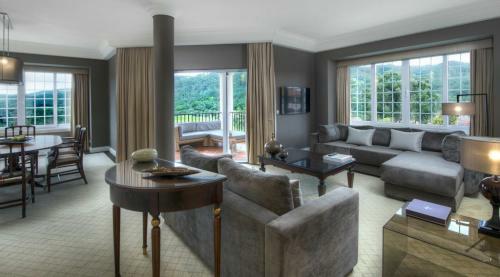 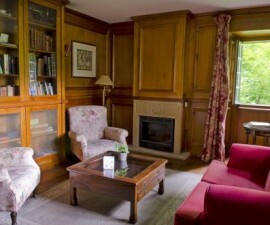 All rooms are en suite with marble bathroom and separate shower and bathtub and the private balconies give lovely views out over the resort or the golf course beyond. 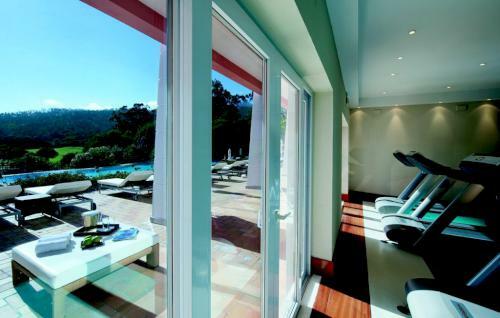 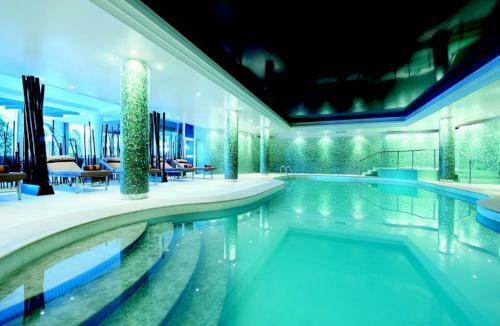 Take time out of your schedule to relax in the Penha Longa Hotel and Golf Resort’s signature spa, 1,500 square metres encompassing nine treatment rooms, sauna and pools, all surrounded by an ambience of tranquillity and luxury. 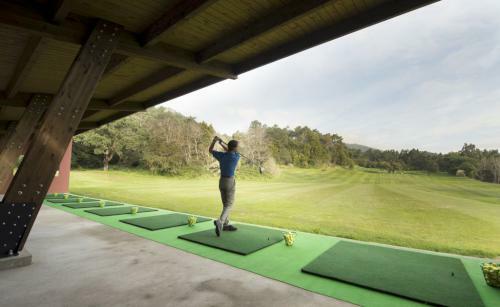 The extensive grounds are a delight to explore, whether you wish to spend your day relaxing around the pool or wandering through the landscaped gardens against the backdrop of the lush greenery and Sintra Mountain beyond, while golf lovers will enjoy a round or two on the fairways of this renowned golfing region of Portugal. 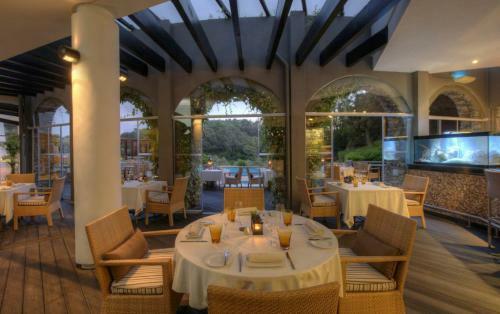 As you would expect in a resort of this type, there are several bars and restaurants to suit every taste, from the internationally themed Arola restaurant and Il Mercato where a range of Italian dishes is served daily, to the Midori sushi restaurant, Serra pool bar or RC bar out in the extensive gardens. 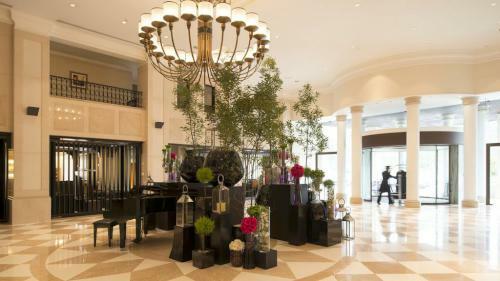 All in all, a five-star resort hotel in a five-star location.